Is a disability holding you back? Want a way to manage it efficiently from within? Disability doesn't have to limit what you do. It means adapting to new ways of working, finding alternatives that eliminate restrictions, and keeping an open mind to let your talents find appropriate outlets. 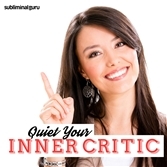 With the Overcome Your Disability subliminal session, you'll tap into your inner reserves of strength and resilience! As you listen, thousands of powerful positive affirmations will reprogram your mind, helping you meet obstacles head-on. You'll start to approach situations constructively, discovering techniques that allow you to focus and perform. You'll become more confident, enjoying new-found freedom and the ability to make a real contribution again. Manage your disability with ease! 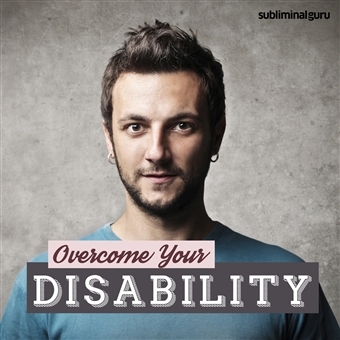 Download the Overcome Your Disability subliminal audio now to make the most of your unique skills and abilities. I cope easily with challenges. I live life fully despite any restrictions. I manage my disability well. I adapt to situations with ease. I stay positive and focused on what I can do. People admire my determination and guts. I keep myself in the best health possible. Every day I give thanks for being alive. I am a unique and capable human being.